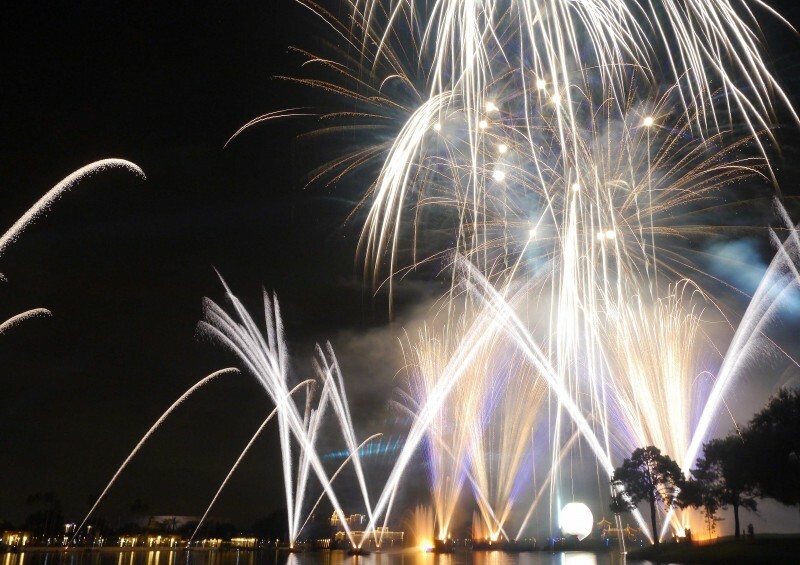 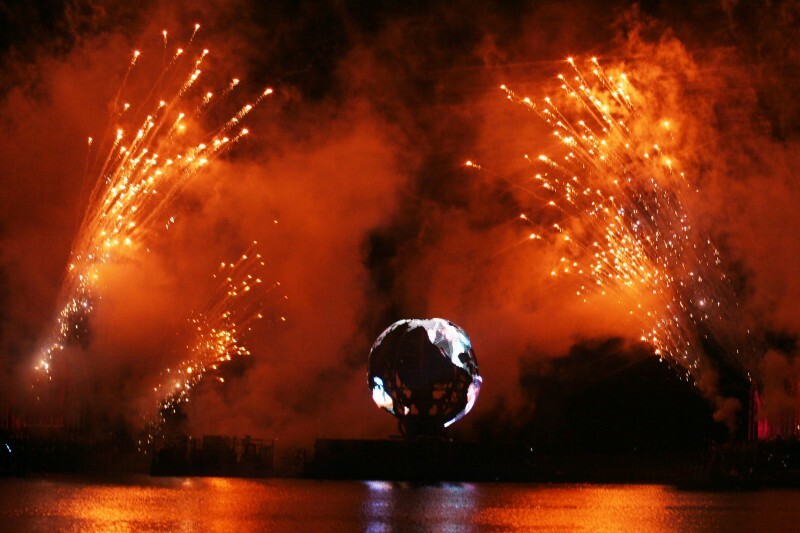 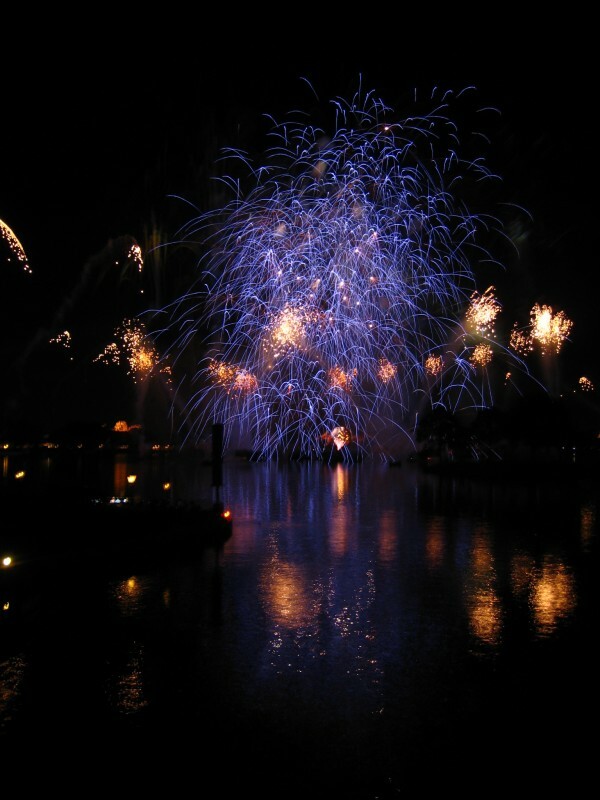 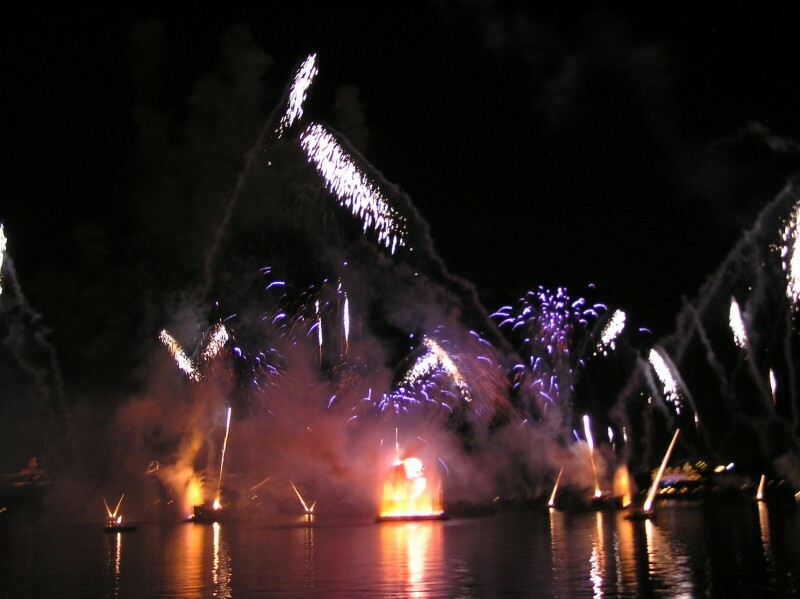 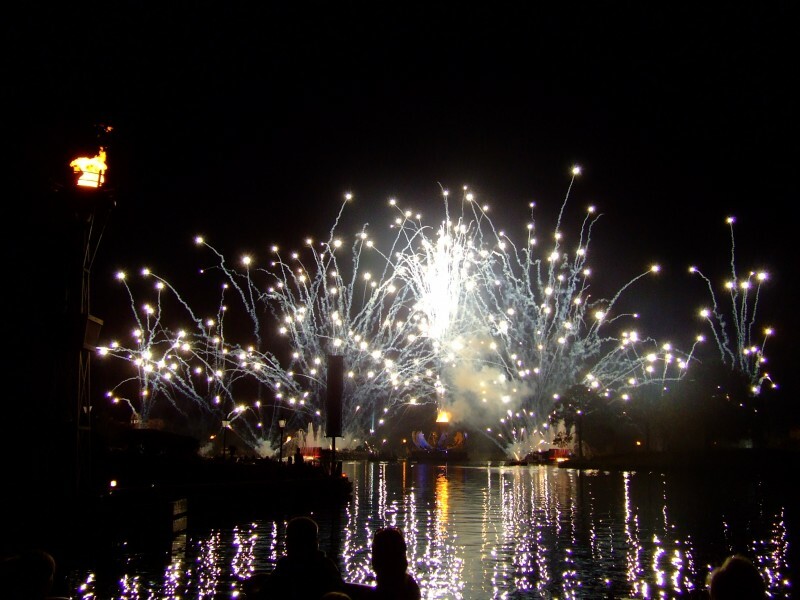 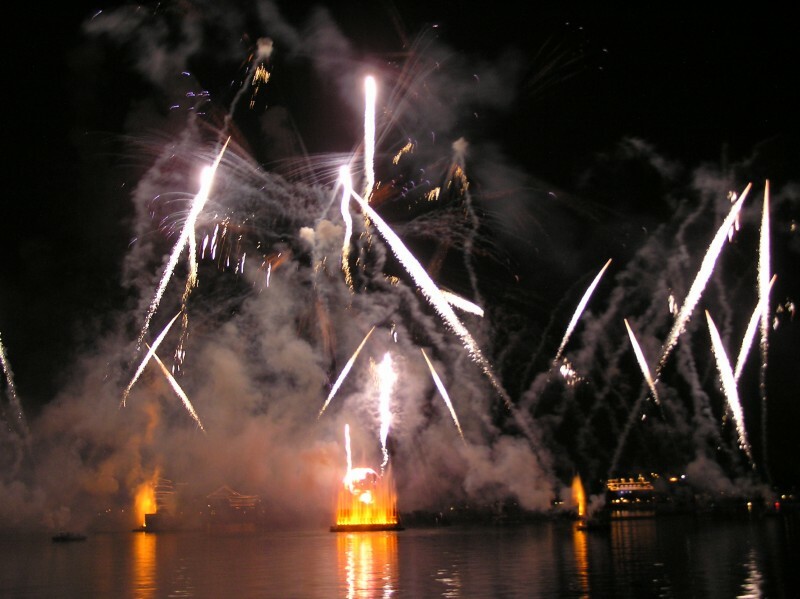 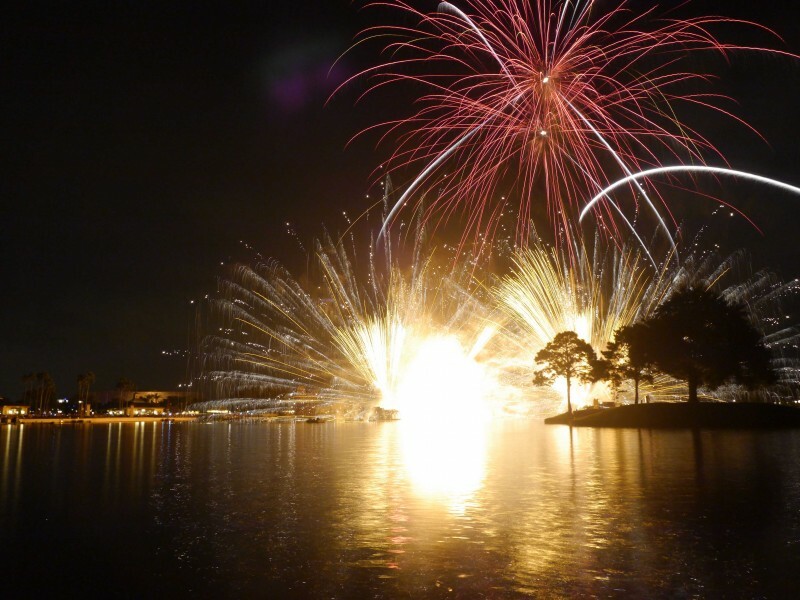 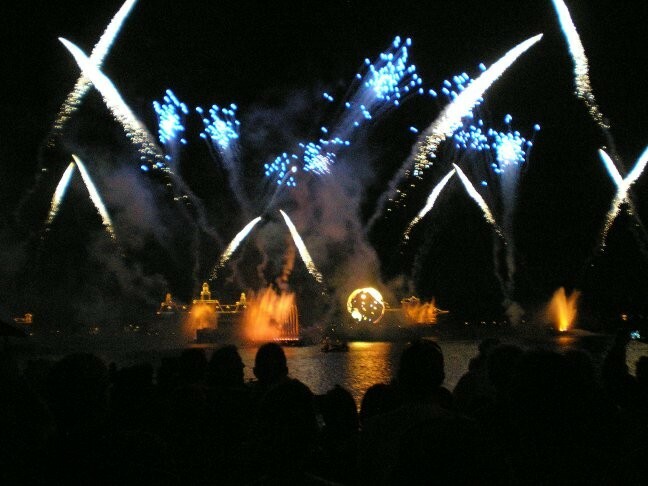 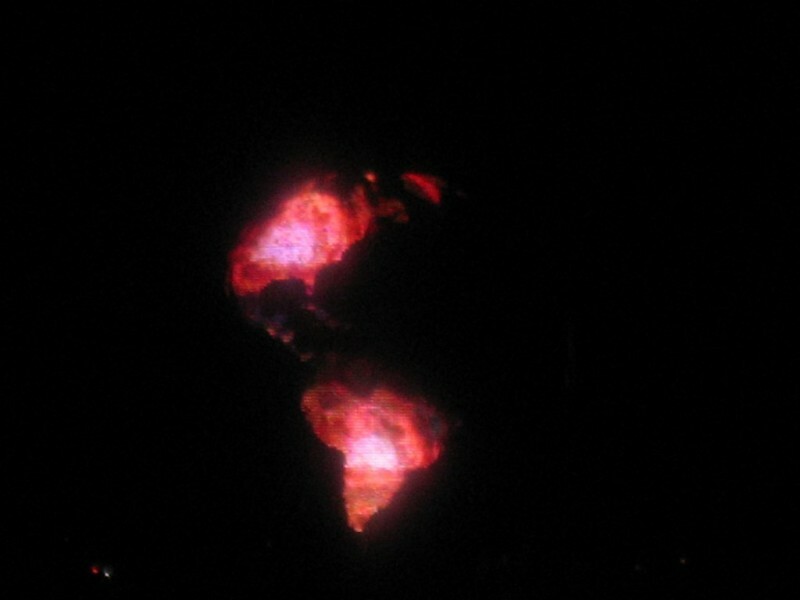 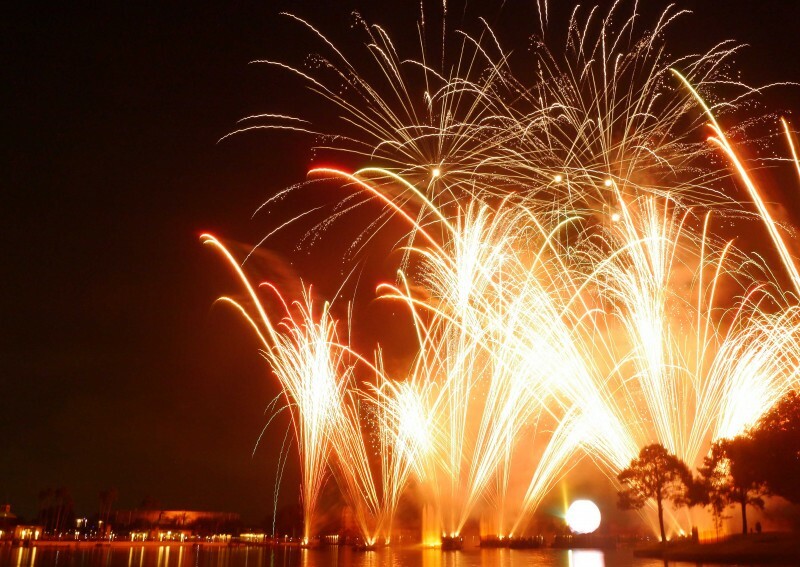 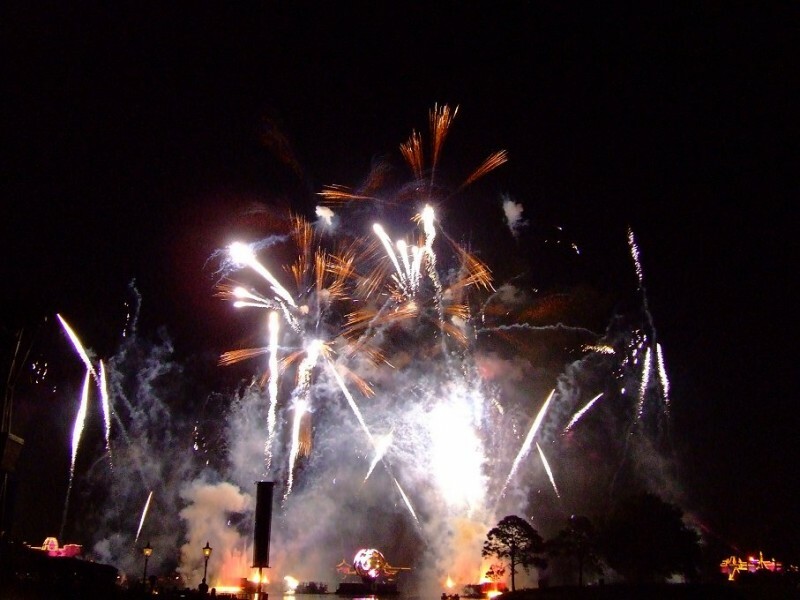 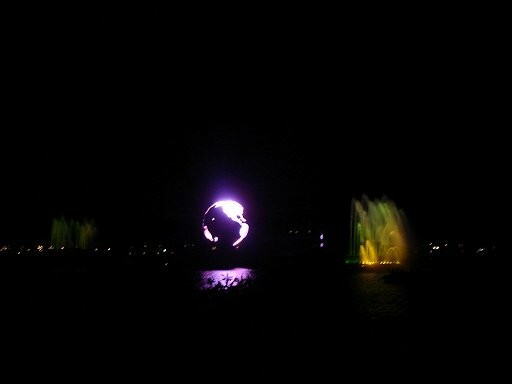 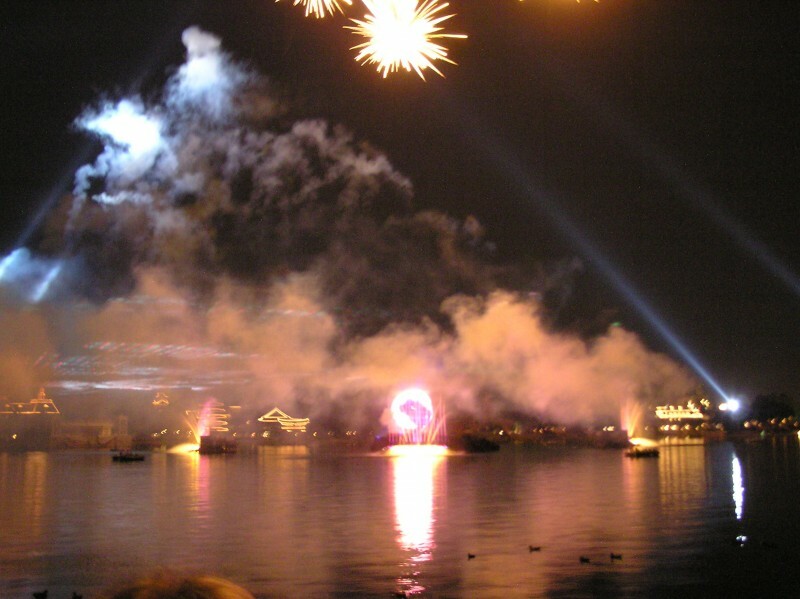 "IllumiNations: Reflections of Earth" is Epcot's current night-time spectacular, featuring a fantastic water, fire, laser and fireworks display around the World Showcase Lagoon. 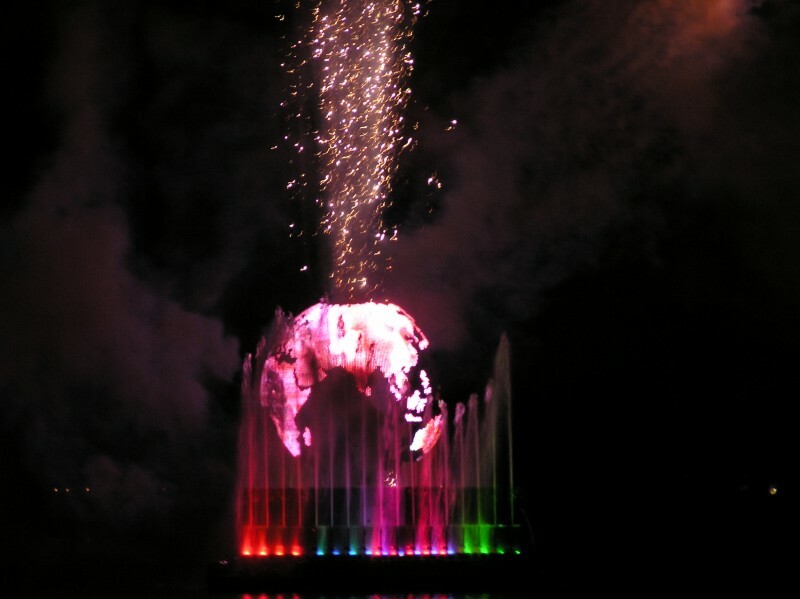 Guests have been entertained by this spectacular show for almost 20 years, but will see it's final performance at the end of summer 2019! 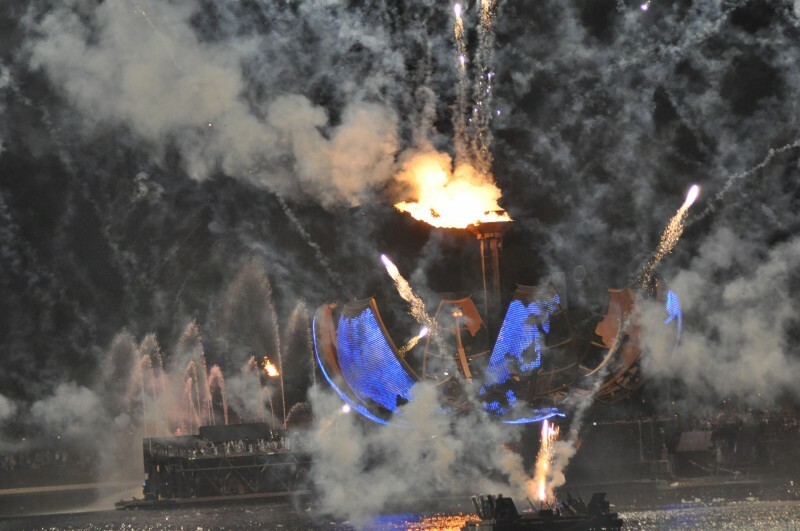 So there's still time to see it, before it is replaced with a brand new show. 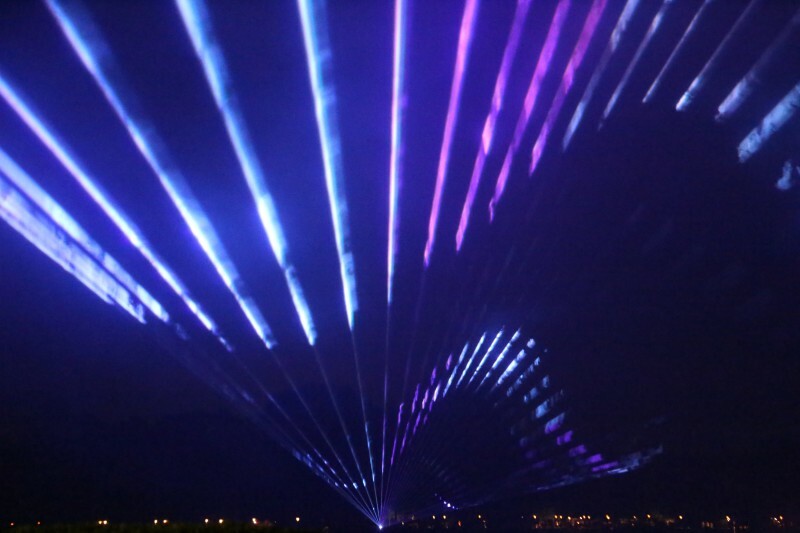 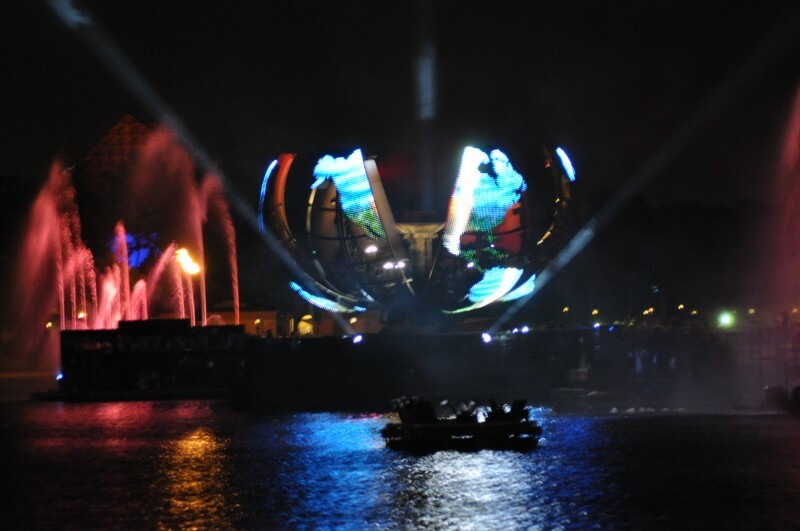 From the big bang to the awakening of man, IllumiNations tells a story of the development of the universe, life and its existence. 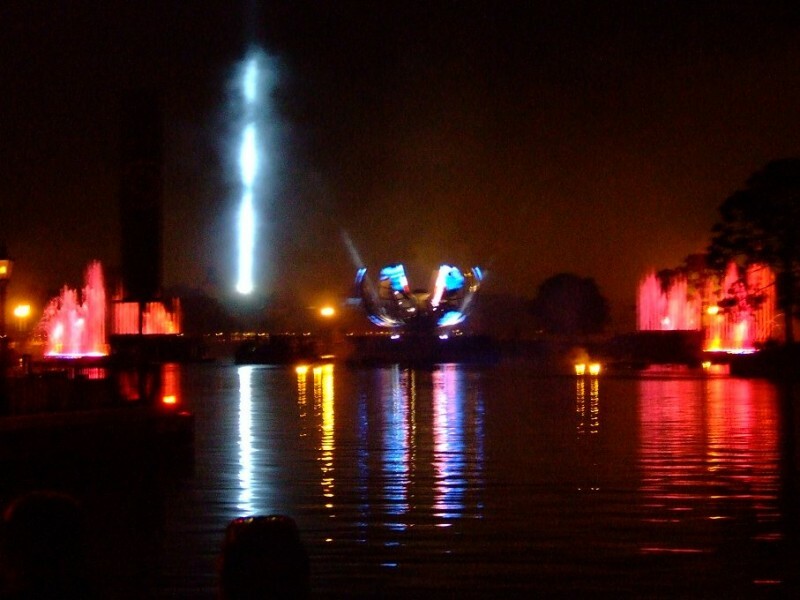 The three acts, Chaos, Order and Meaning are all set to a wonderful musical score that has you captivated and will leave you with a true feeling of awakening. 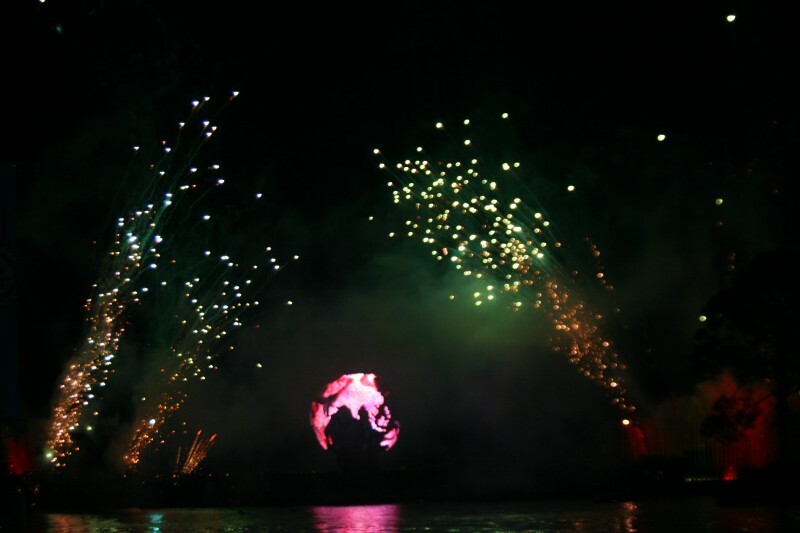 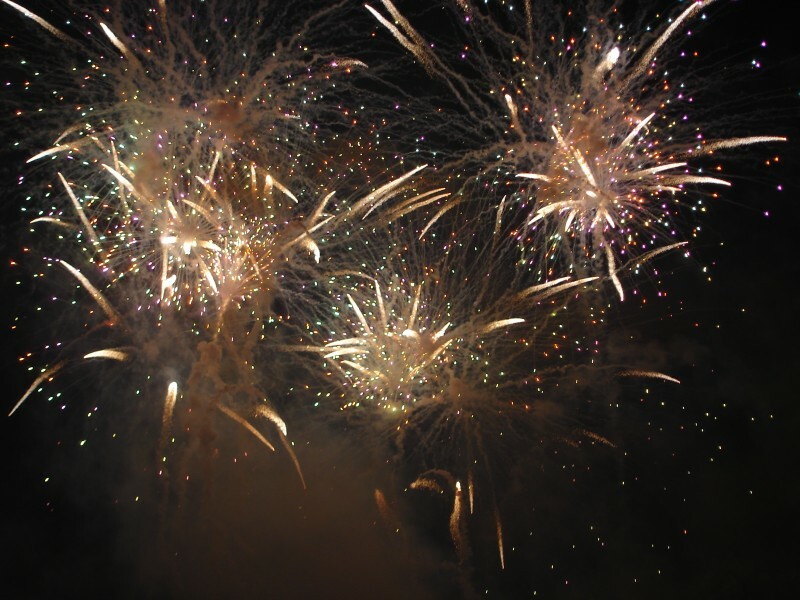 The show starts with a single firework that explodes over you signifying the big-bang. 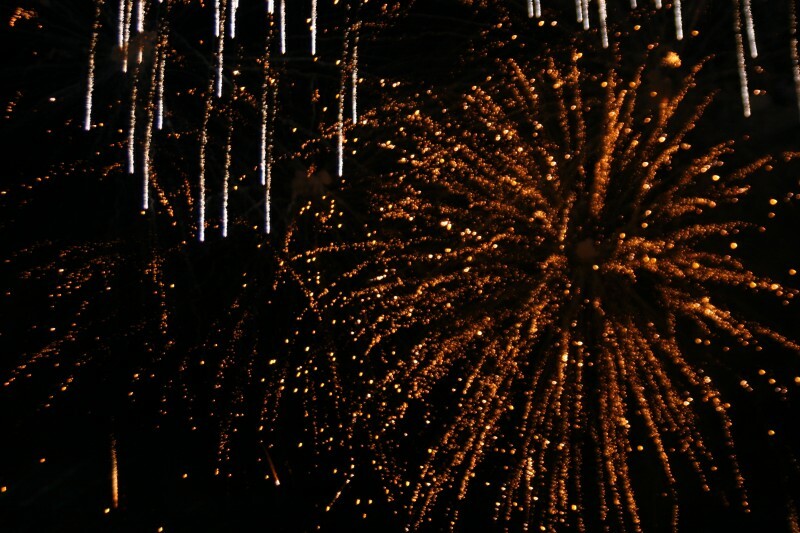 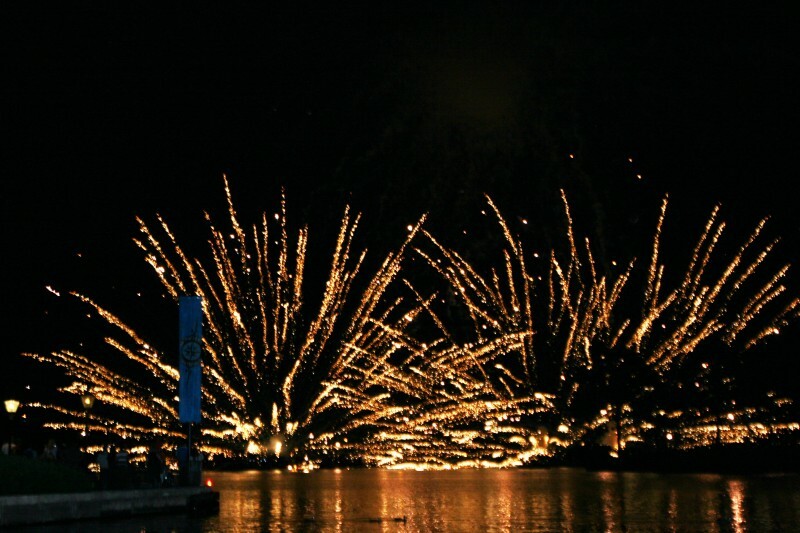 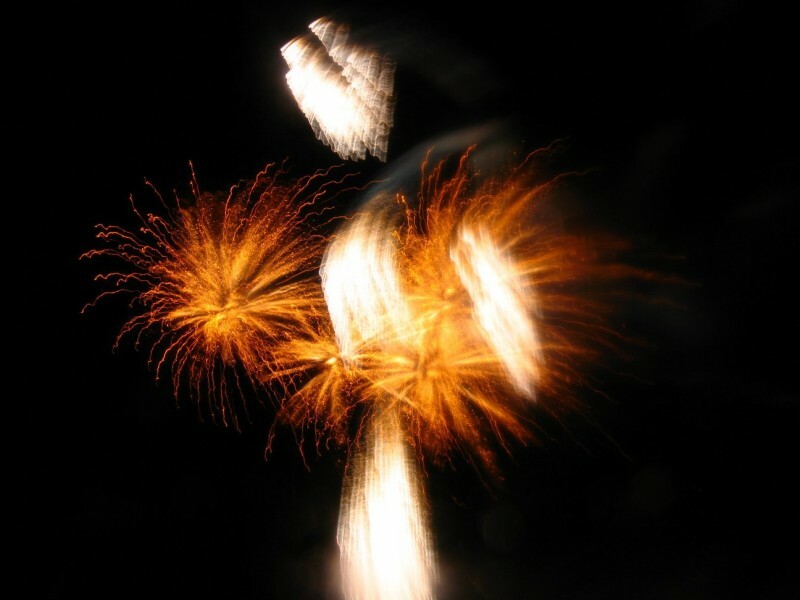 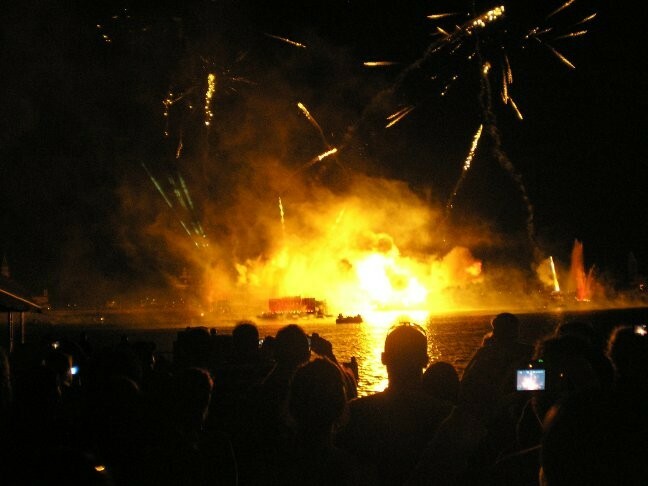 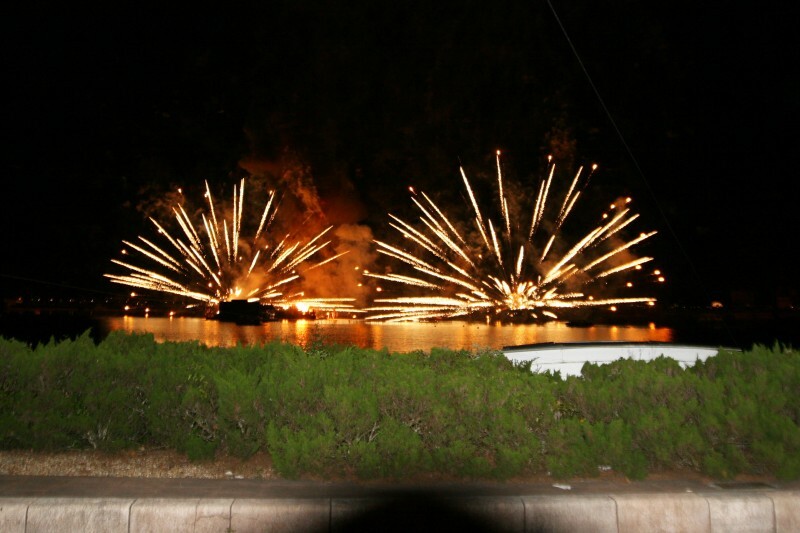 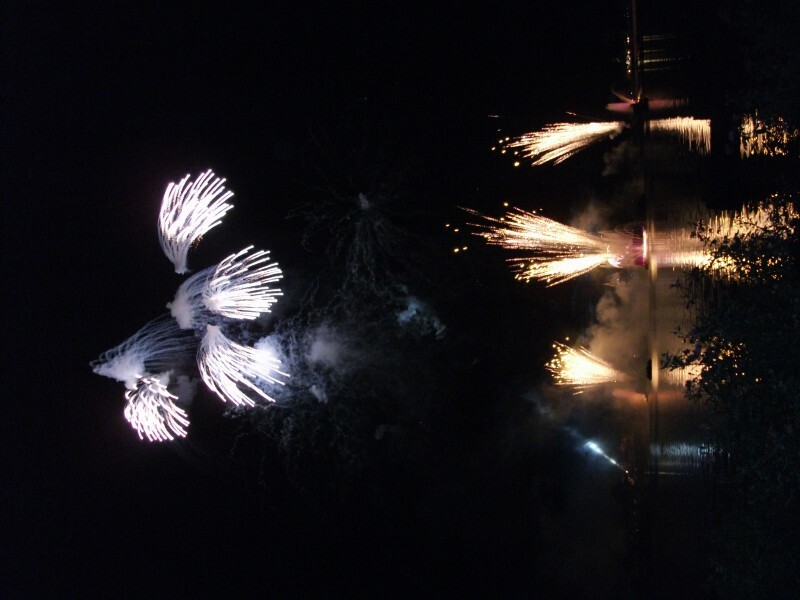 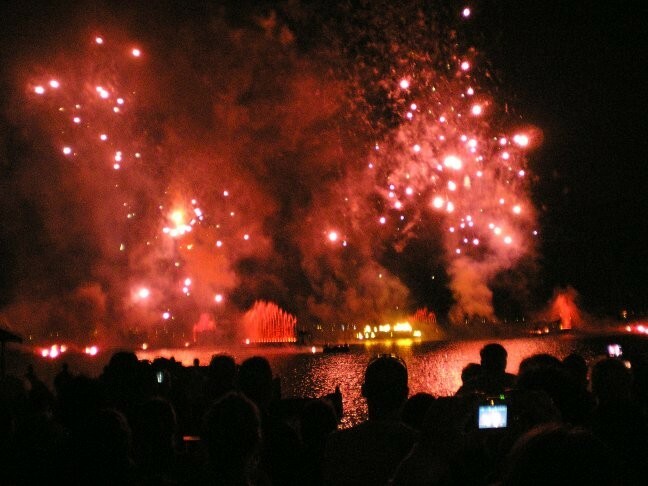 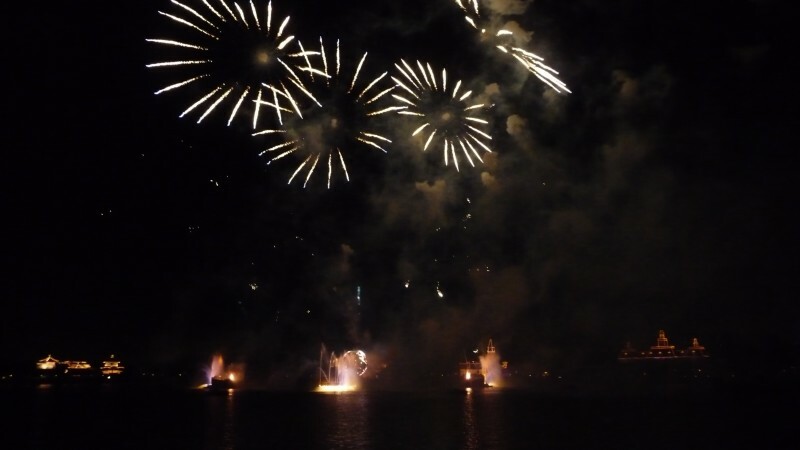 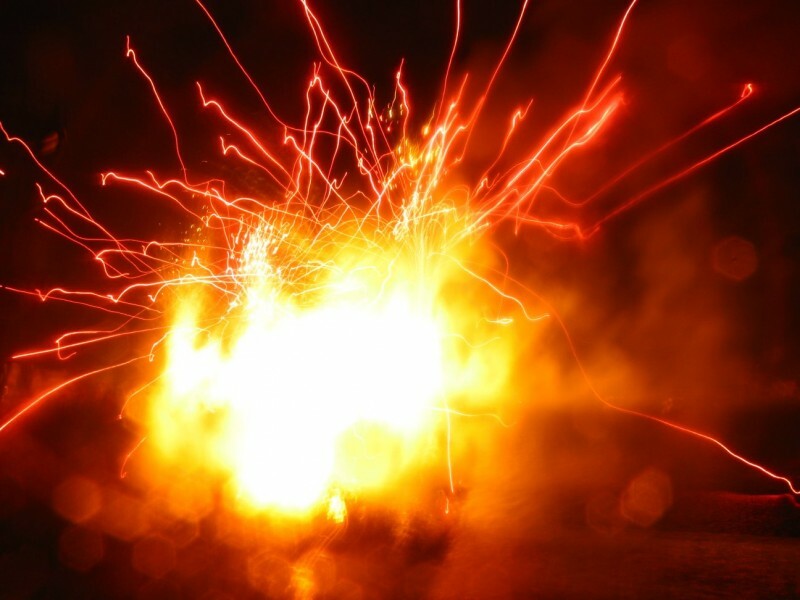 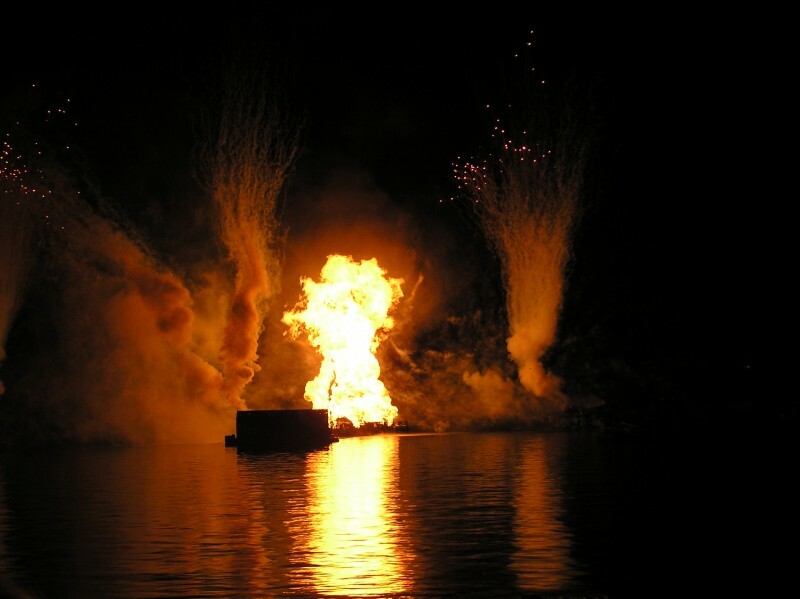 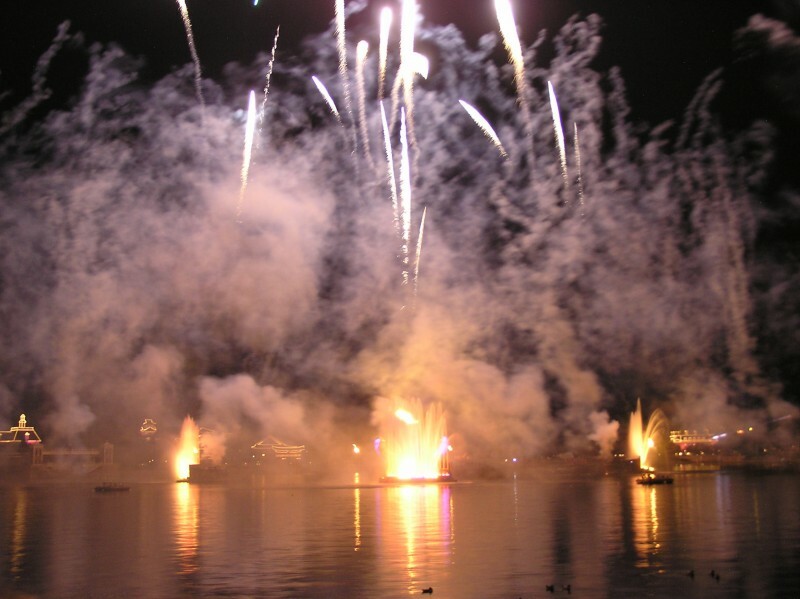 Then hundreds of fireworks explode in a chaotic manner around the lake, with huge leaps of fire and water erupting from the lake. 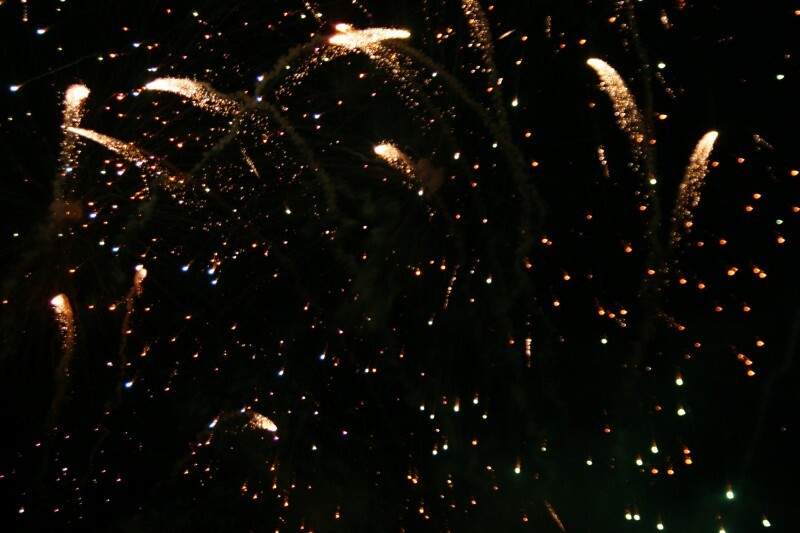 At the end, thousands of single bright white fireworks light up the faces of everyone watching, in a moment of reflection about ourselves. 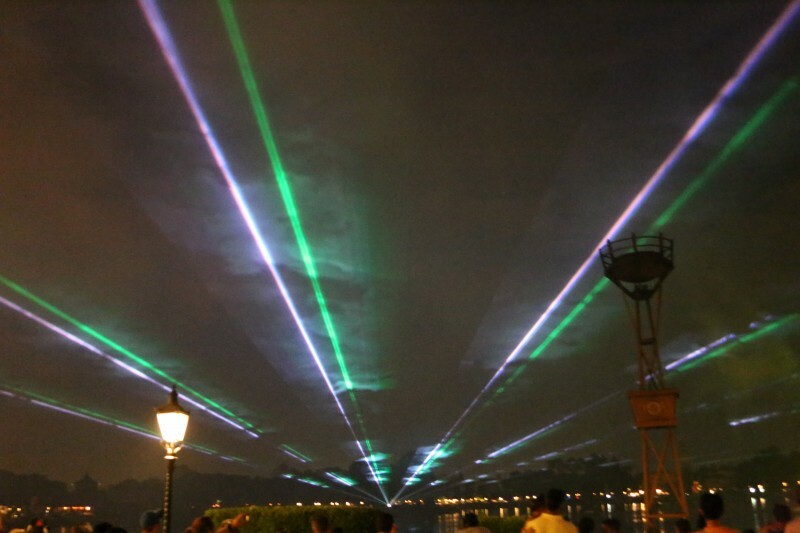 Guests can use FastPass+ for this show. 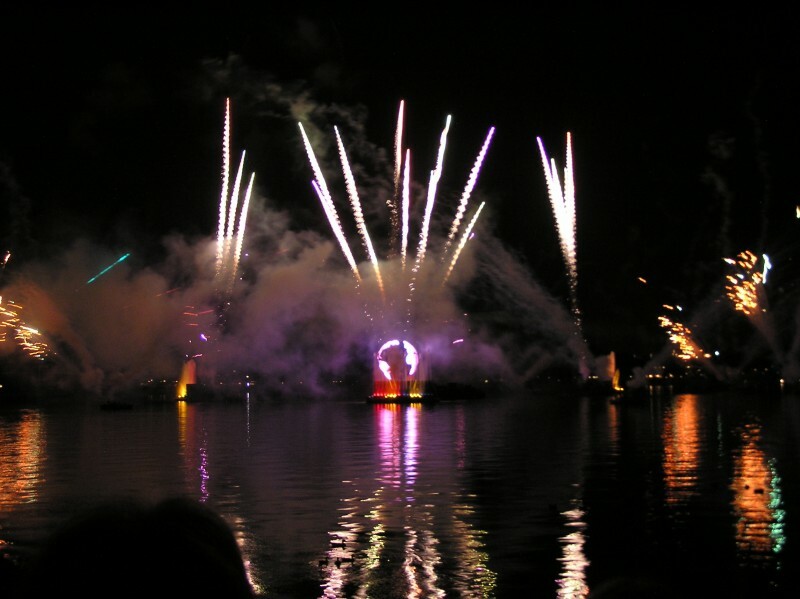 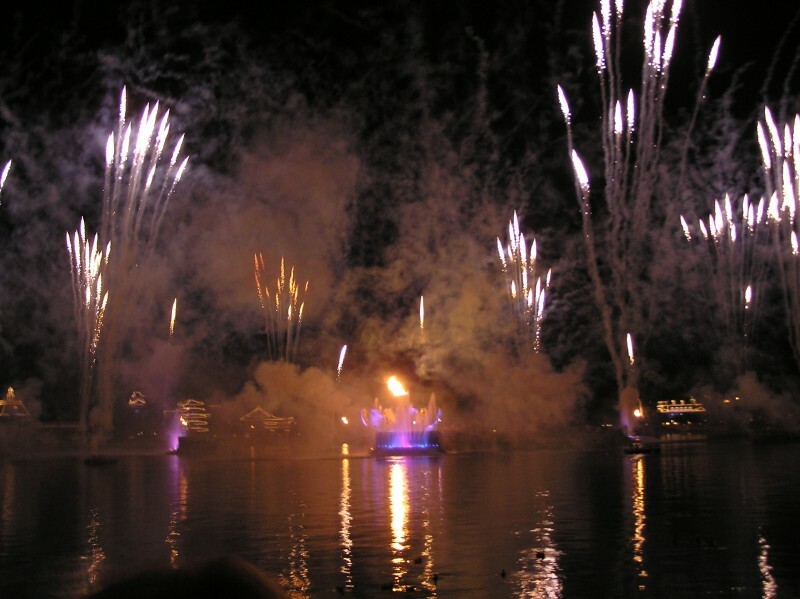 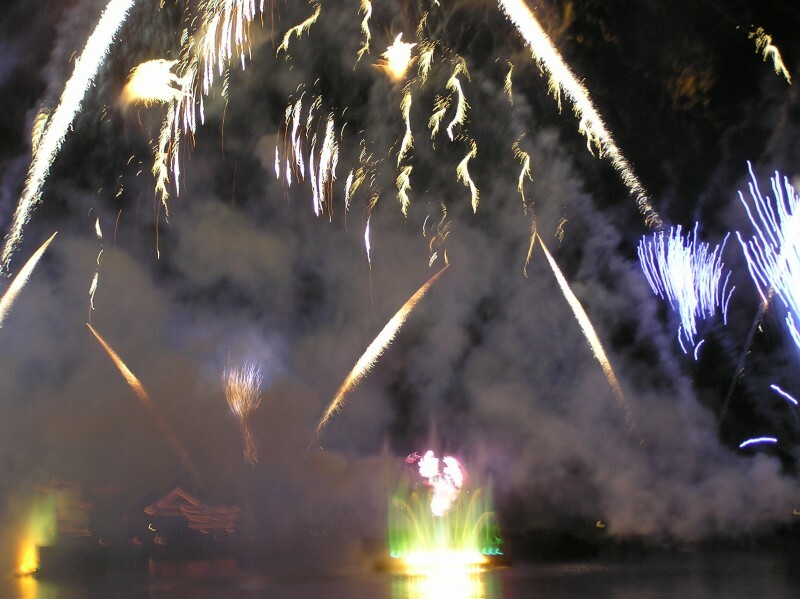 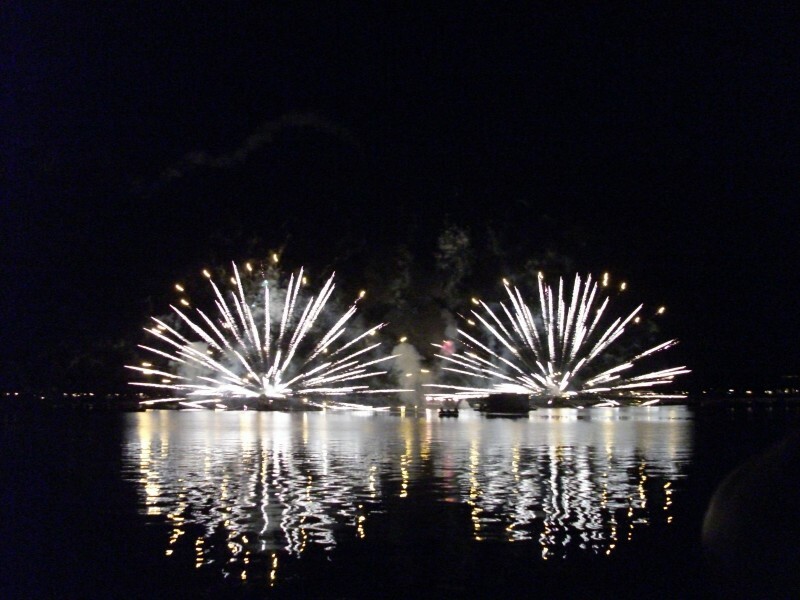 IllumiNations can be seen from anywhere around the World Showcase Lagoon - and many of the fireworks can be seen from the surrounding areas such as the Boardwalk. 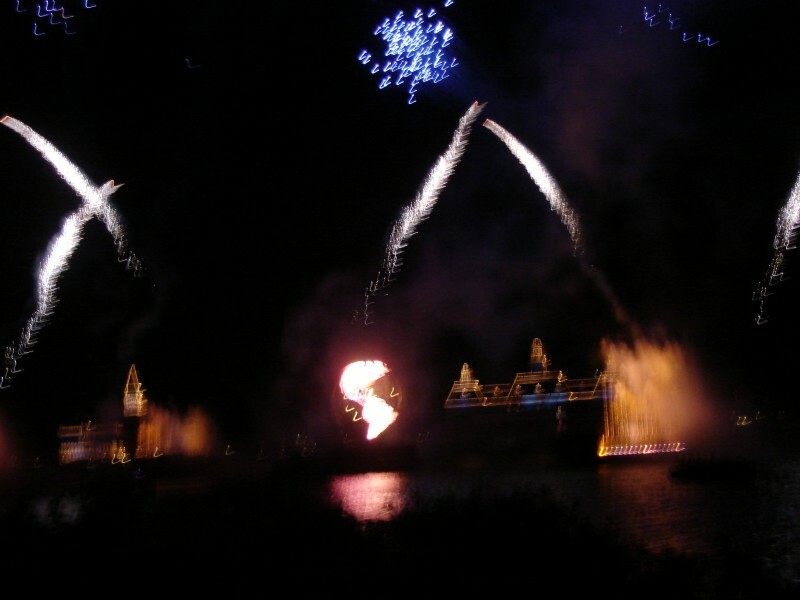 One favourite is to book a table at the Rose and Crown pub at the United Kingdom pavilion, or stand on the bridges of Venice at the Italy pavilion. 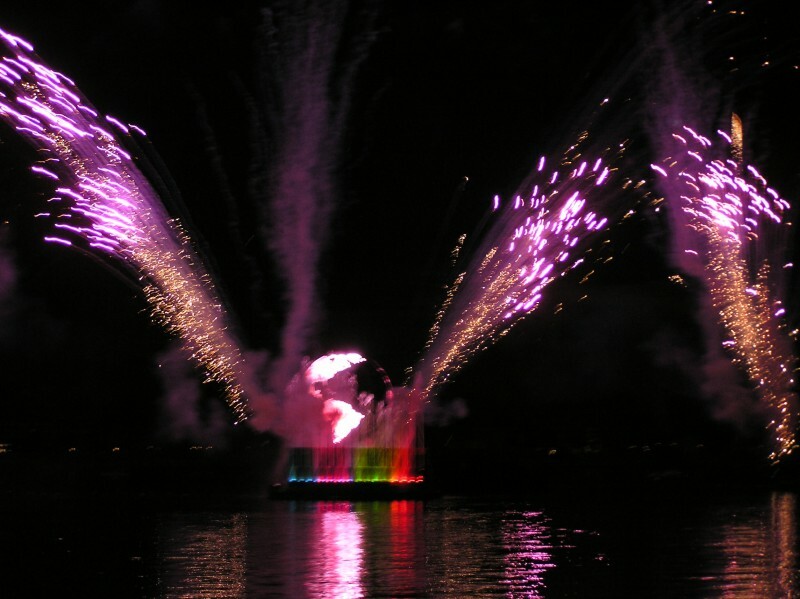 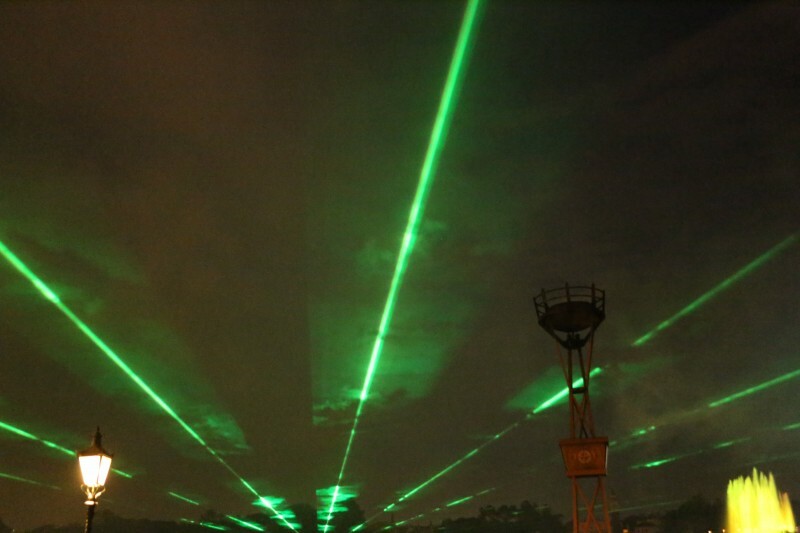 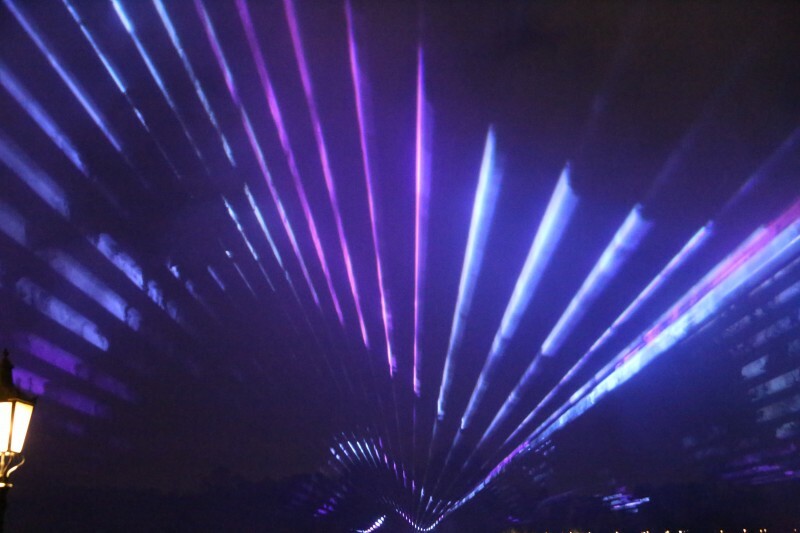 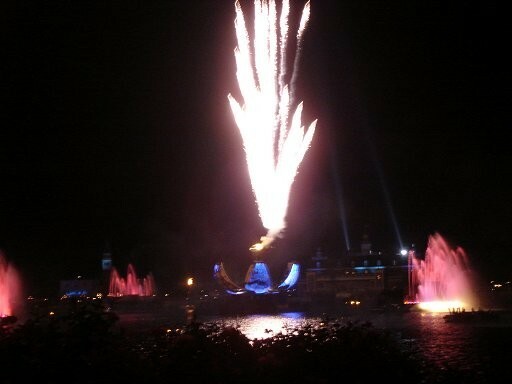 Another fantastic way to view the show is via the IllumiNations Cruise, which you can book in advance. 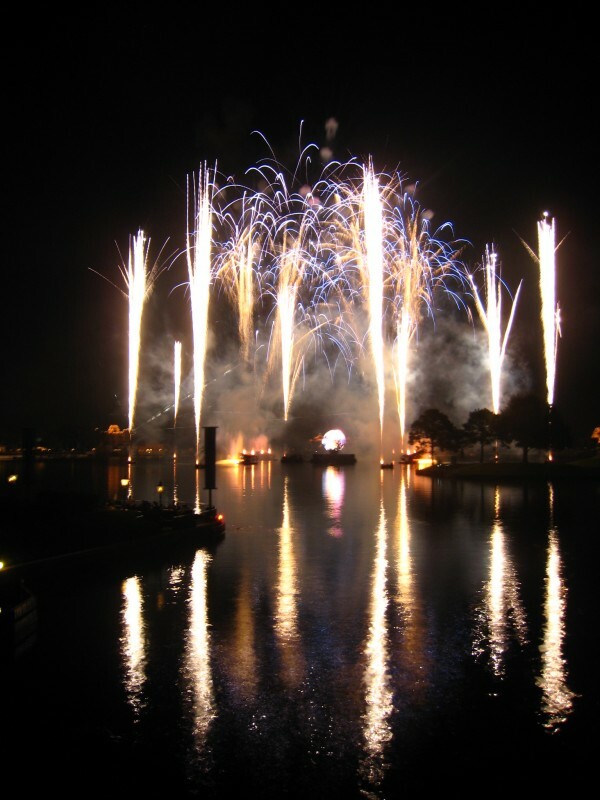 The Rose & Crown located in the United Kingdom Pavillion at Epcot, is the perfect place to watch the IllumiNations from the lagoon-side patio at 8pm, whilst dining on a three-course prix fixe menu. 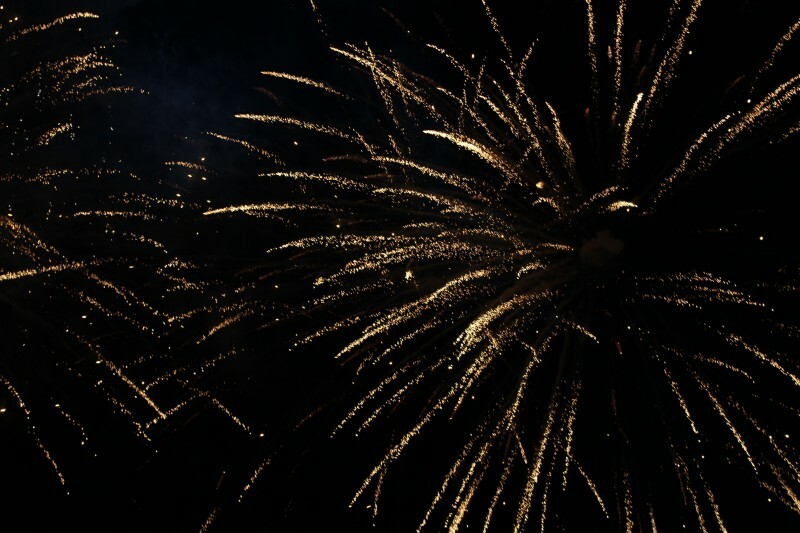 The menu features favourite classics of Scotch Egg, Fish and Chips and a Pudding Platter Trio dessert with Sticky Toffee Pudding, English Trifle and Chocolate Nougat Bar. 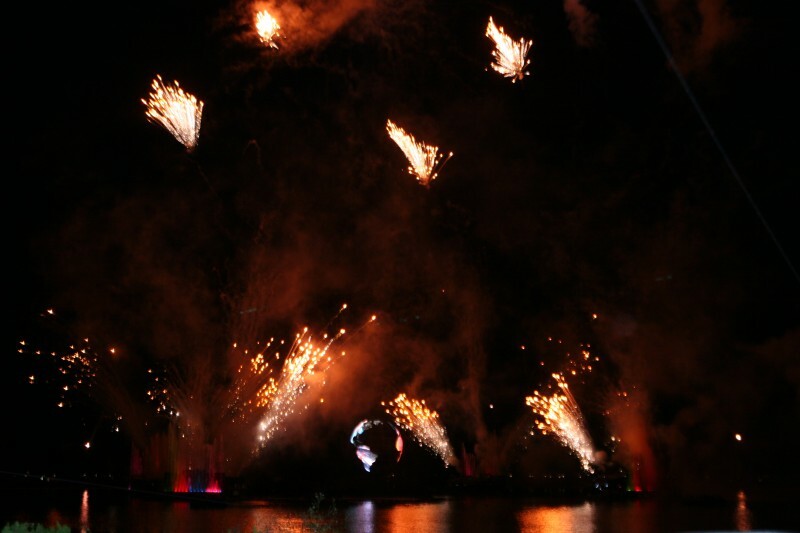 Unlimited non-alcoholic beverages and alcoholic beverages are available to those over 21. 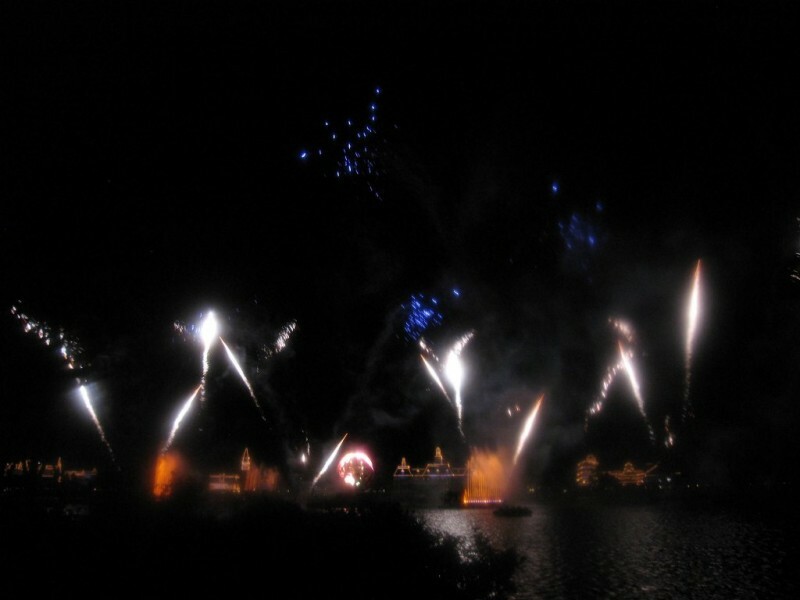 Package price is $85 for adults and $35 for children. 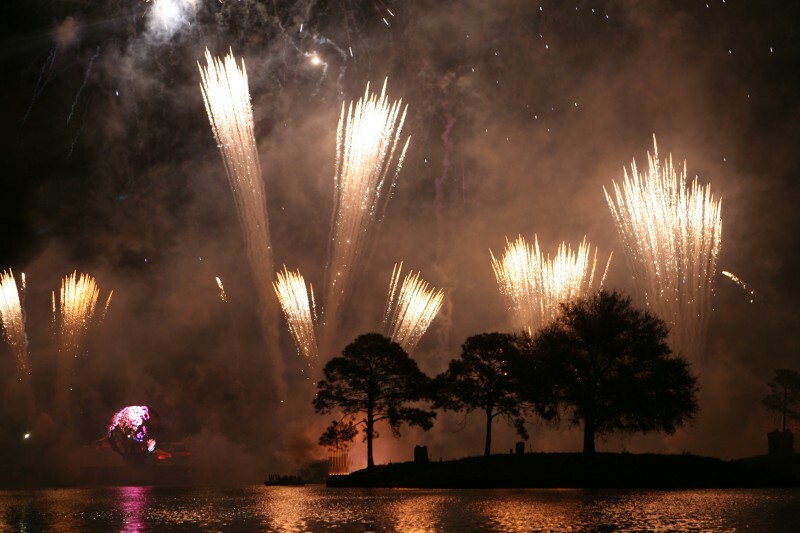 Reservations available from 17 January, can be made ONLINE or via 407-WDW-DINE. 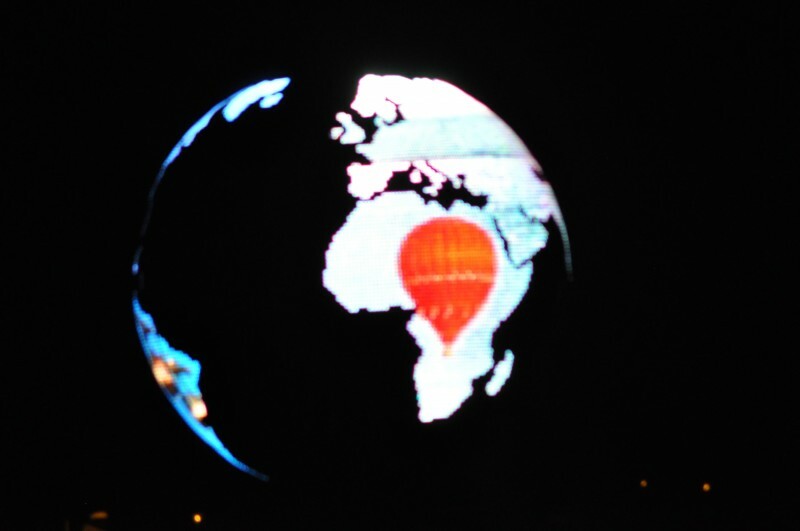 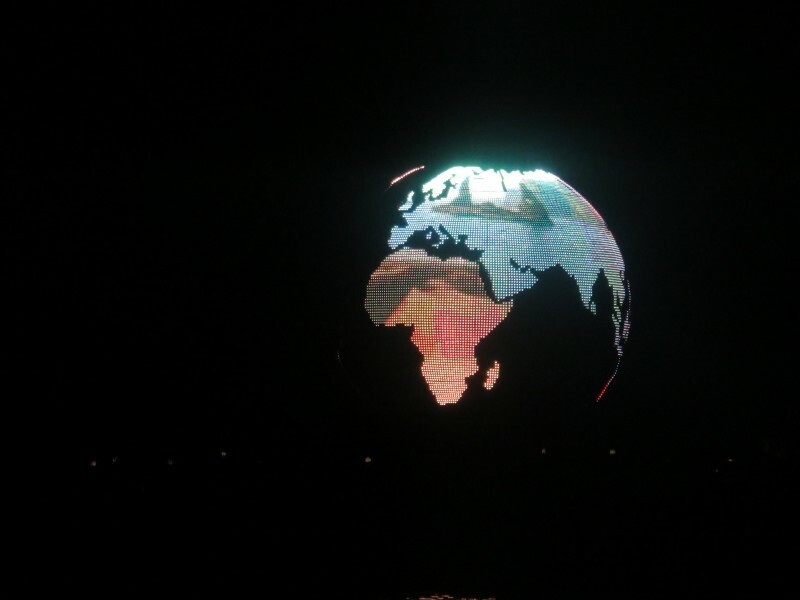 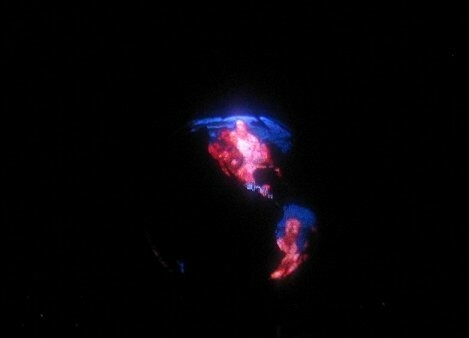 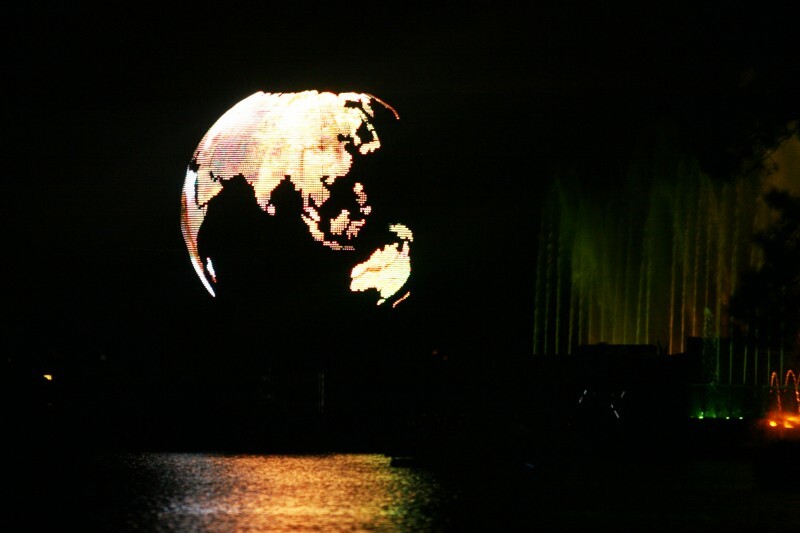 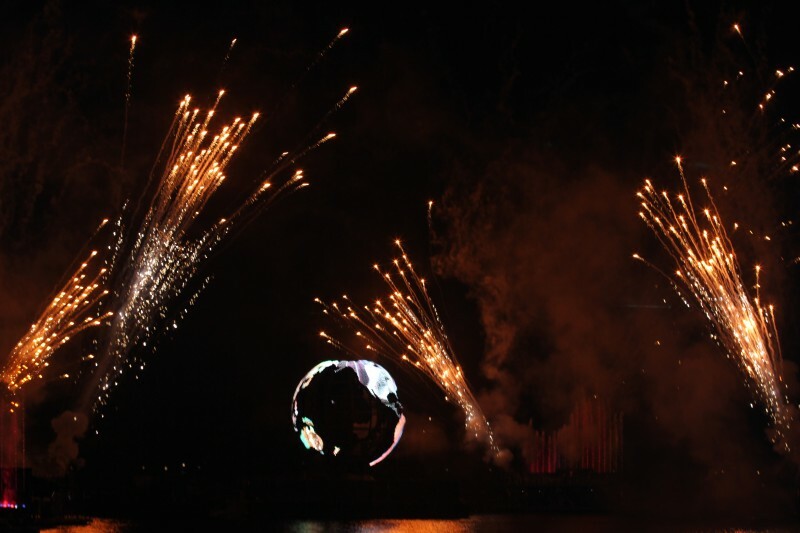 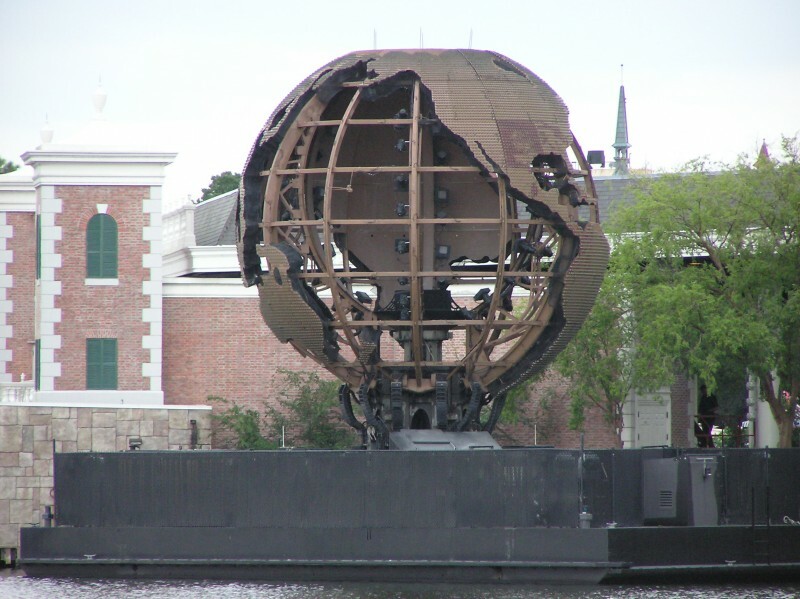 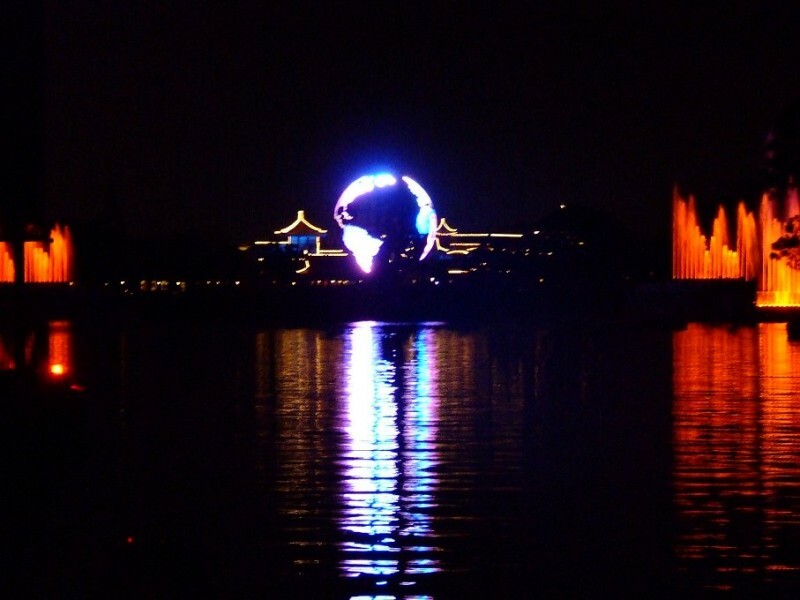 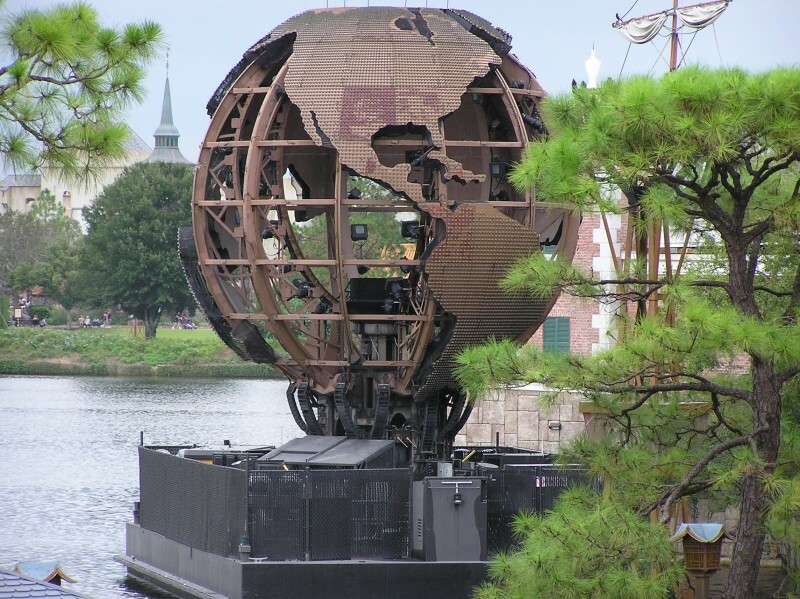 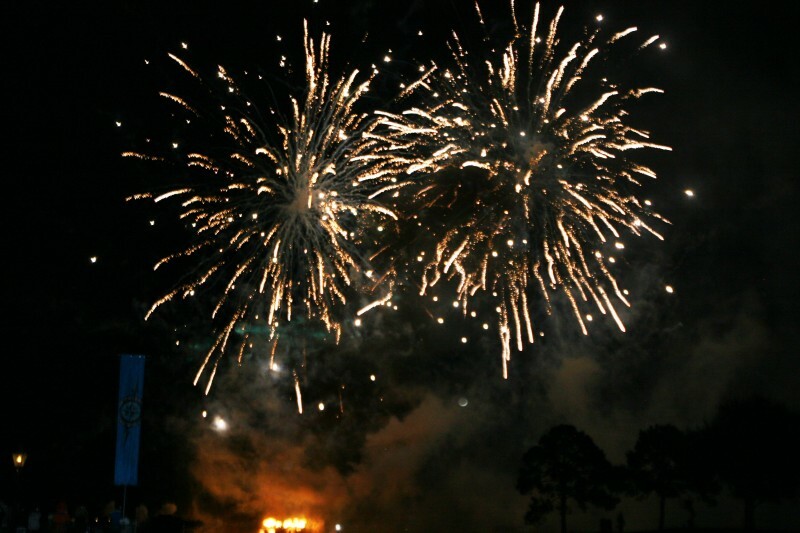 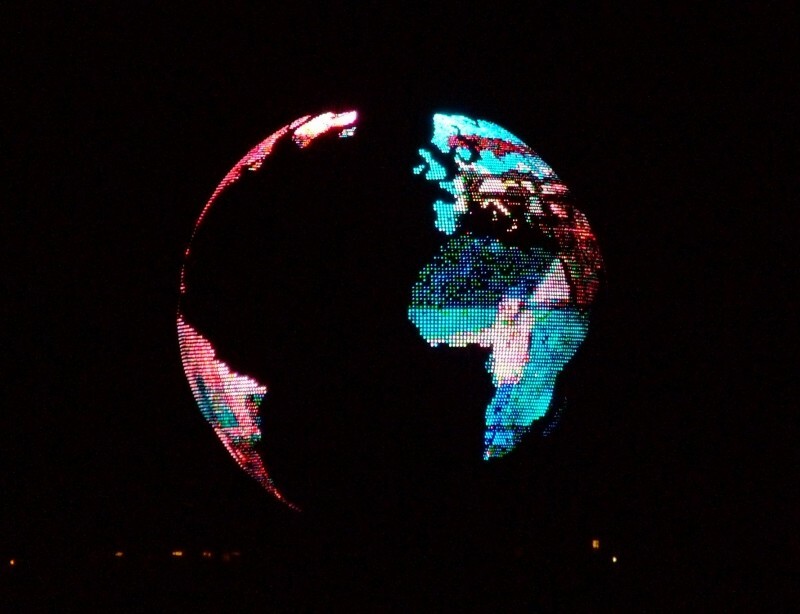 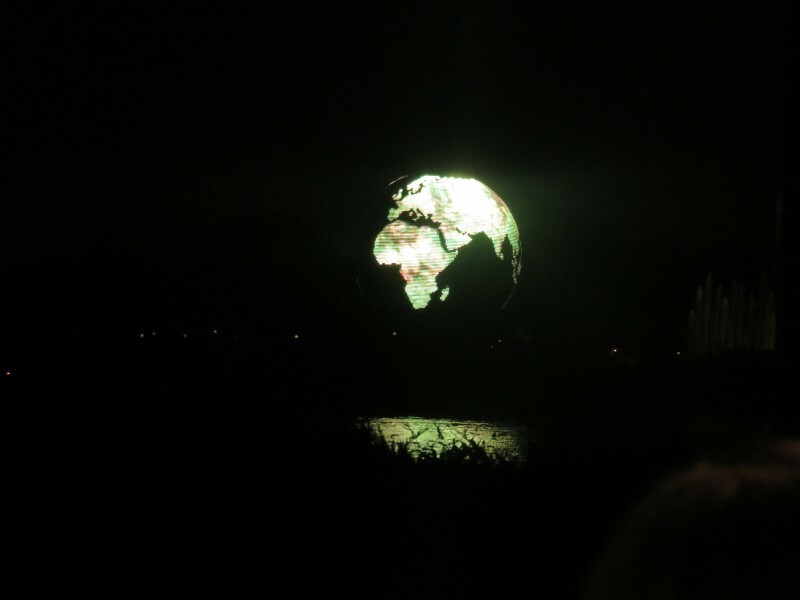 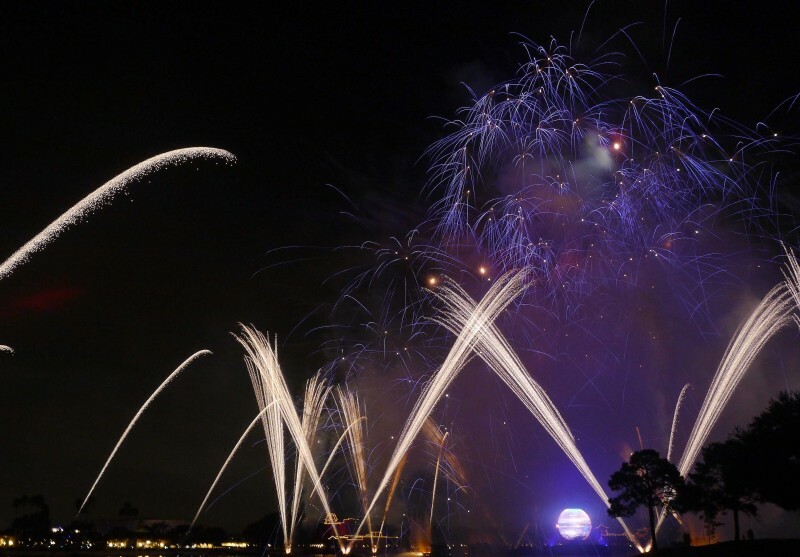 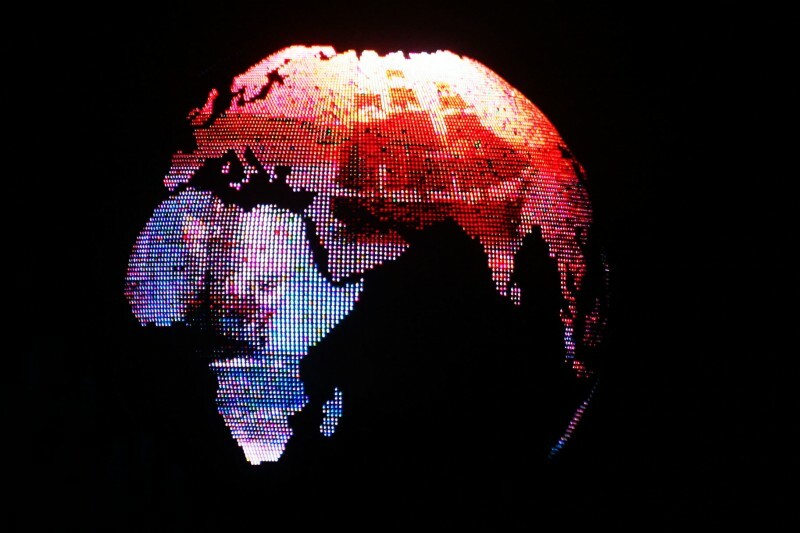 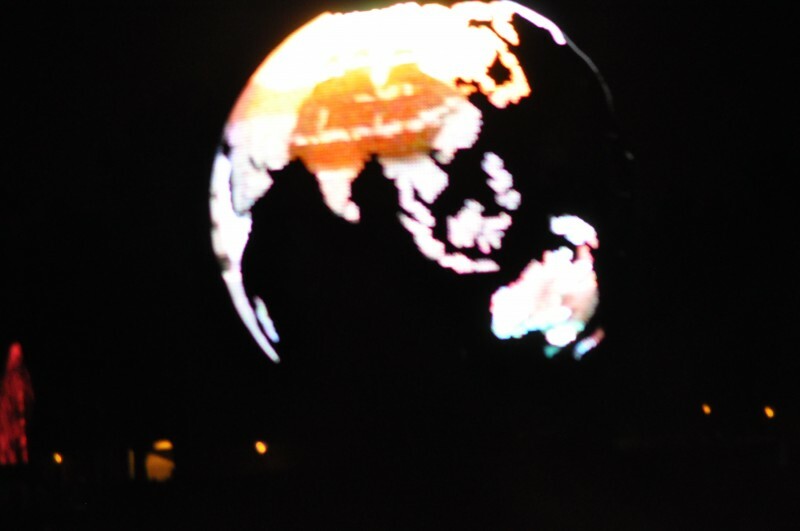 During the show, you will see many fireworks synchronised with the music, lights on the buildings around the world showcase, lasers cutting through the smoke and an awe inspiring globe that displays movie clips that detail the history of earth. 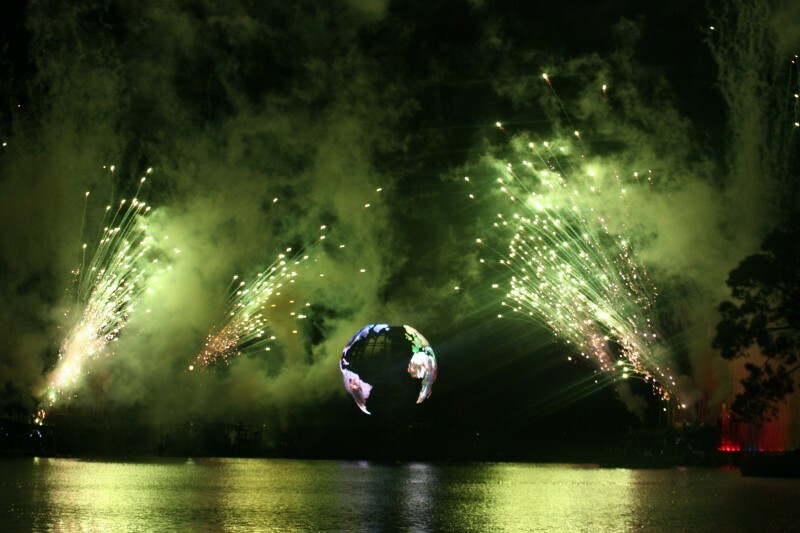 The show is rumoured to cost nearly $30,000 a night to perform, and certainly doesn't disappoint. 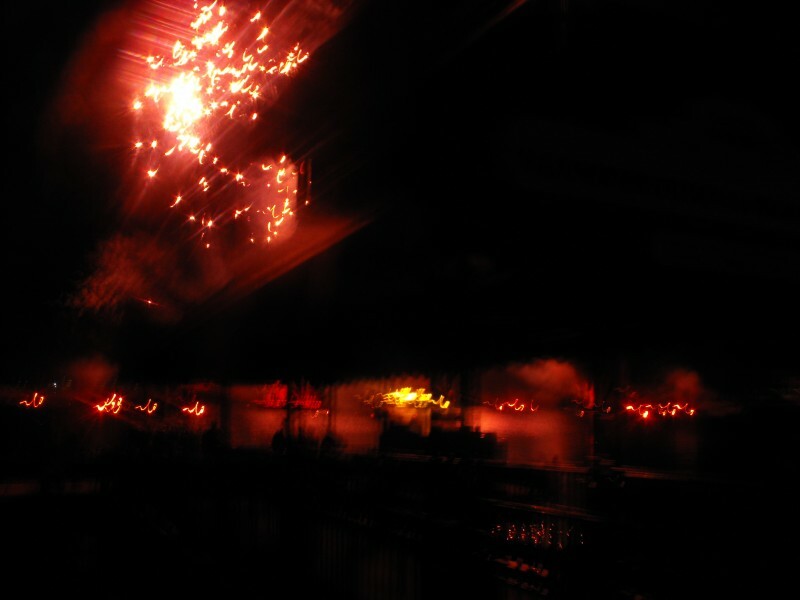 Page created by AndyJ on 10-08-2010 20:15.